Happy dancing today for my team’s victory at the Austrian Wedding Awards. I was honored to take the trophy home Thursday night and get so many lovely messages from colleagues, friends and dear couples from all over the world, congratulating me. The coolest thing though is that the congratulations started long before actually winning the award. Somehow, I guess the capacity of fellow wedding entrepreneurs to appreciate one’s work and expressing admiration is way higher than in any other industry. 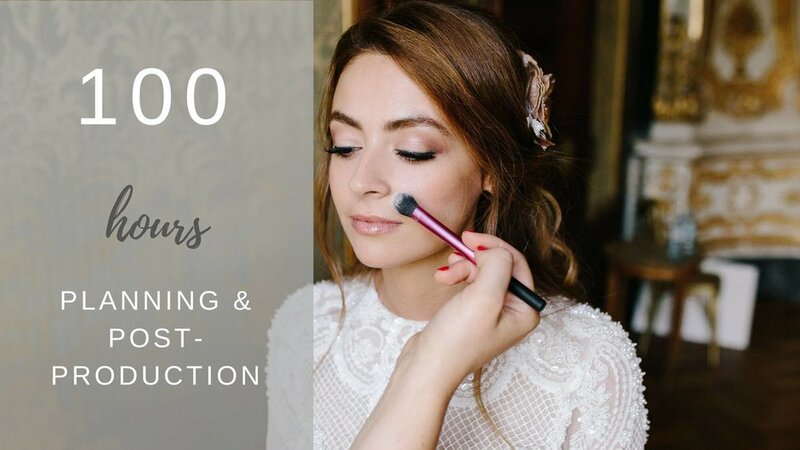 And this is partly the reason why I think introducing the Styled Shoot Award as a TEAM category last year was a marvelous idea (thank you for that, dear Susanne and Bianca!). 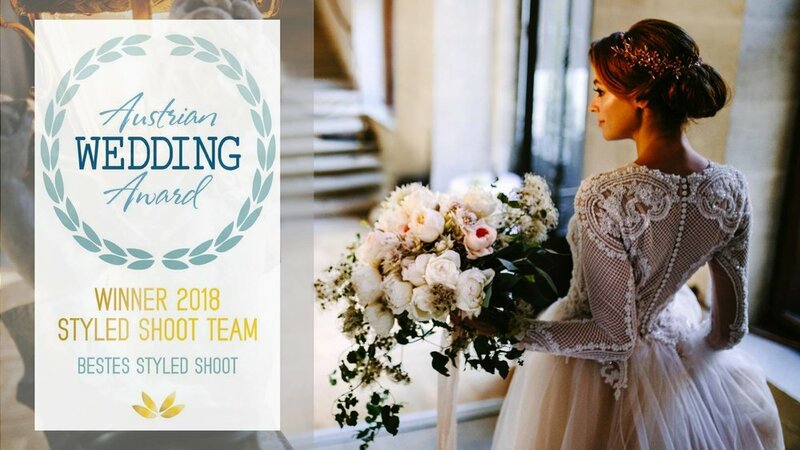 Weddings and all the creative work that comes with them are all about teamwork, all about putting singular interests on second place and giving way to a perfectly cohesive joint project. 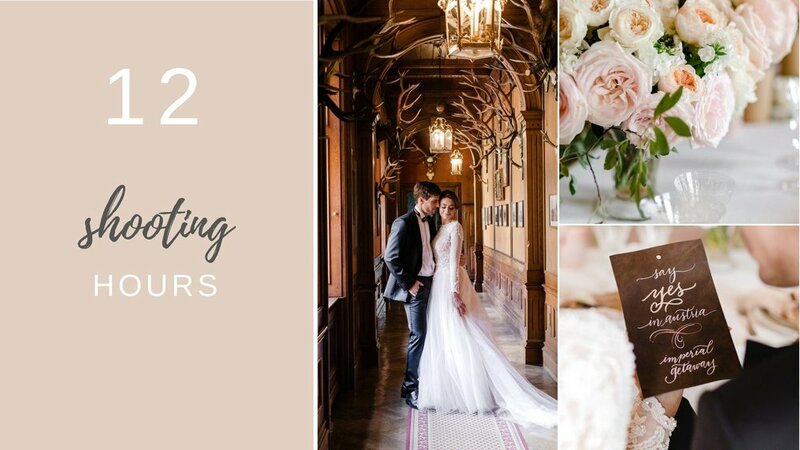 As a wedding planner, I have the honor to create very diverse teams, depending on our couples’ wishes, and it is always a pleasure to see how everyone adapts to each vendor combination, to make sure they provide the best result. 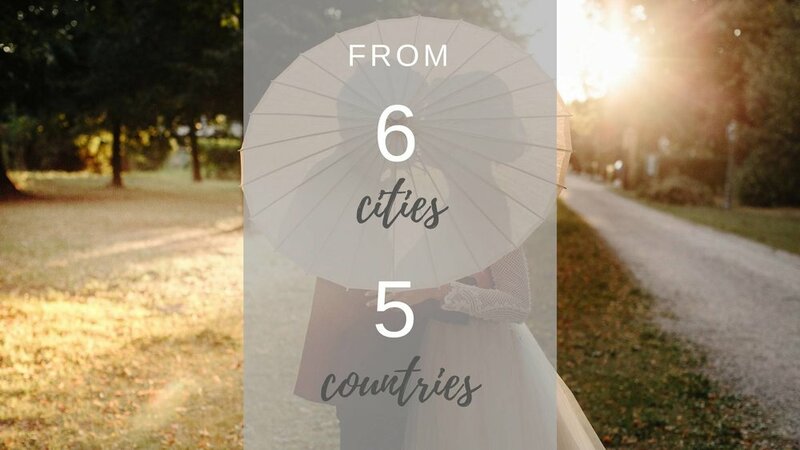 No matter where they are from or what language they speak, they are all guided by ONE LOVE: the love of Beauty, the passion for memorable weddings that get our creative juices going. So, this award is not mine, it is OURS – a team of 27 people that stood behind me all the way (yep, I guess 27 being my lucky number also played an important role), to bring this beautiful story to life. Some of us had just been in action for about 18 hours at an amazing wedding at Schloss Eckartsau the day before the shoot, so the 12 hour hustle on that beautiful Sunday couldn’t have worked without the passion and dedication that drove us all throughout this project. Enjoy our video, beautifully curated by CineRava. All my love to the amazing team, a huge THANK YOU to all who voted for us, the Austrian Wedding Award jury and organizers!